This creamy, 6-ingredient smoothie is made with the Perfect Pineapple, packed with nutrients and immune-boosting goods that will set your New Year’s into gear. 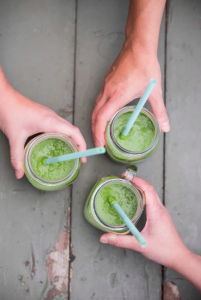 Created with coconut, lime, pineapple, and greens, this is a nutrient-packed treat that is great for on-the-go or breakfast in bed. 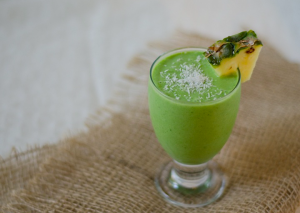 Add The Perfect Pineapple, cucumber, frozen banana, light coconut milk, water, lime juice, greens and ice cubes to a blender. Blend on high until smooth. Feeling under the weather and ready to soothe your throat and feel better? 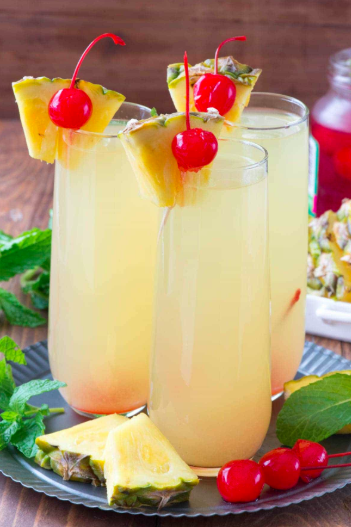 Check out how to make your own pineapple cough syrup here. 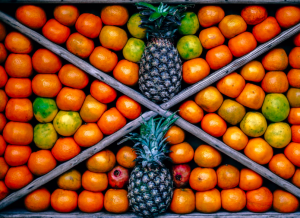 Healthy doesn’t have to taste anything but delicious when you incorporate fresh Chestnut Hill Farms pineapple, known to have loads of vitamin C, anti-inflamation agents like bromelain and waist-line slimming properties. We’ve concocted a tried and true green smoothie recipe that will have you setting sail to summer with a tasty – and healthy – blend of ingredients that will take your taste buds to the tropics. 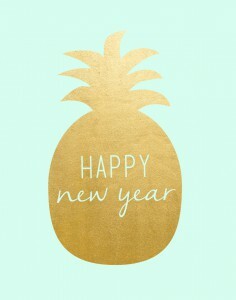 Read more here about the amazing health benefits of pineapple and check out the recipe below to get your New Year started off right. Many of us have prepared for 2016 by drafting new year’s resolutions. And you know what? I agree with the tradition. There really is something magically inspiring and motivating about resolutions! In fact, down here on the farm, we have a few “new beginning” traditions and customs that we follow on December 31st. Among them are some fun ones such as crossing the neighborhood street with a suitcase in hand to ensure travelling in the coming year. Or sweeping the entire house to sway away past evils. Many people here in Costa Rica even make it a point to ring in midnight with yellow underwear for good luck in the months ahead. Maybe these customs aren’t exactly your cup of tea, but there is one thing you can’t deny: Taking steps to better yourself is always a smart thing! Among your own resolutions, we’re pretty certain that “eating better” or “making healthier choices” is on your list. And that’s terrific! Image Created by Sisters, What!